The typical boat owner is the one that can benefit from this buyers market it gives him a chance to get his dream boat at a good price. 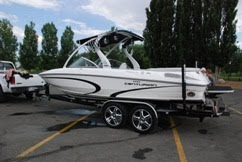 If you have determined your going to buy a boat the market is on your side. ResponseRapidly, but carefully, test the steering from one direction to another to see how long it takes the boat to respond.